• In the days of the East Javanese Kingdom of Majapahit, there was a famous saint called Dang Hyang Dwi Jendra. He was highly respected by all for his services to the Kingdom and its people in matter their prosperity, spiritual well-being and overcoming the problems of life. He was known for his dedication ”Darma Yatra” or the spreading of Hindu religion. In Lombok they called him the “Tuan Semeru” or the master from Semeru, a mountain in East Java. 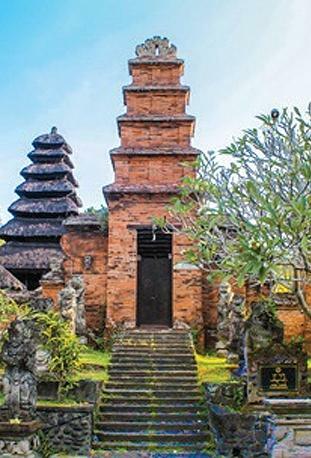 • During his mission in Bali in the 15th century, the ruler in Bali Raja Dalem Waturenggong welcomed him and treated him with high respect. His teachings spread like wild fire in Bali, as he instructed and preached the teaching of Darma (duty) and erected many temples in order to rice the spiritual consciousness and deepen the religious doctrine of Hinduism amongst people. • It is said that in his old age, whilst carrying out work in “Darma Yatra” at Rambut Siwi, he was led by a holy light East wards from the place, he followed this radiance a long to its source which was a fresh water spring. Not far from this place, he found an extremely beautiful place which was locally known as “Gili Beo” ( Gili-coral rock, Beo-Bird ). This huge rock was in the shape of a bird. At this place he settled for a while to meditate and pray to the God of the sea. 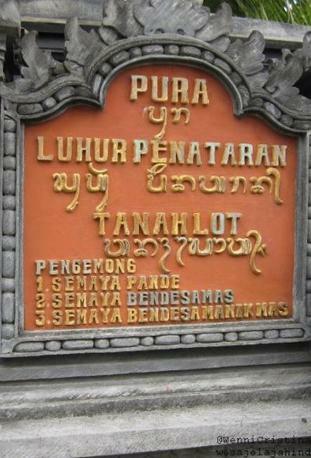 He began to preach to the local people from the village of Beraban, whose leader known as “Bendesa Beraban Sakti” the holy leader of Beraban. • To this time the local belief’s had been based up on monotheism. In no time the news spread of the presence of Dang Hyang Nirartha or Dang Hyang Dwijendra a teacher of religion and made many villagers became disciples. The followers of Bendesa Beraban began to leave him, and he began to blame Dang Hyang Nirartha. He gathering some of his followers that still belief on him to disgruntled and came to the priest to ask him leave the area. 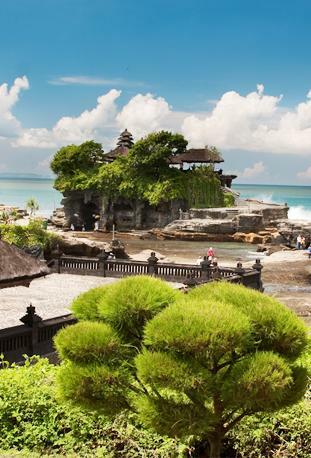 With the strength of his religion power, the priest managed to avoid the disturbed of Bendesa by moving the huge rock which he was meditating into the sea. Then he created lot of snakes from his scraf, as protectors and guards at the entrance. He gave the name of “Tengah Lot” to his refuge, meaningland in the minds of the sea. • Eventually the Bendesa Beraban acknowledge the spiritual powers of Dang hyang Nirartha, and he learned for him self the doctrines preached of the Holyman and becoming his most faitfull follower, spreading the ward amongst his people to joint the faith. • As to token gratitude, before taking his leave the priest gave a Holy Keris known as “Jaramenara” to the head of the village. This ancient keris is kept in the Puri Kediri, highly treasured to this day. 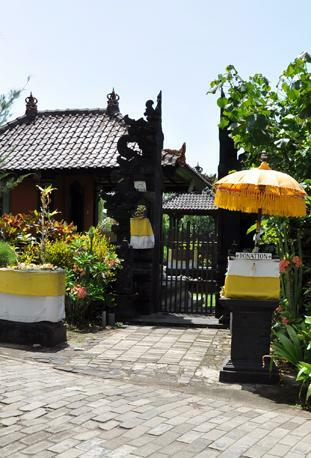 A special ceremony is made for it on every Kuningan holiday. 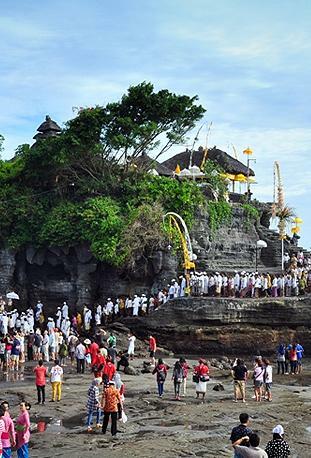 The temple festival at Tanah Lot takes place every 210 days on “Rebo Keliwon Langkir” according to the Balinese calendar. 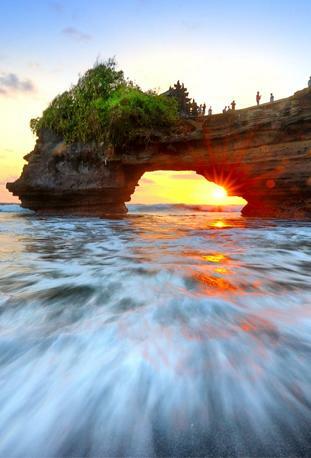 • Tanah Lot is a temple located in the south of Tabanan exactly in Beraban village, District of Kediri. 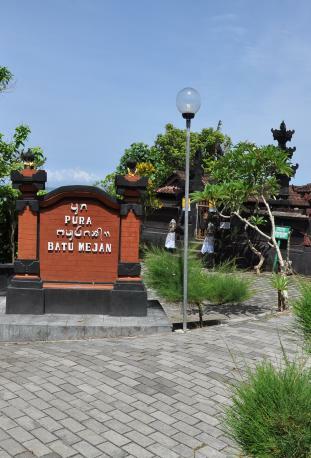 It is about 13 kms from Tabanan Town and 30 kms from Denpasar. • It looks like a floating one if the tide is high but when tide is low, people can walk to the Temple. Because of erosion many caves, which are inhabited by sea snakes, are formed. People cannot disturb these snakes because according to the belief, they belong to the God in the Temple. 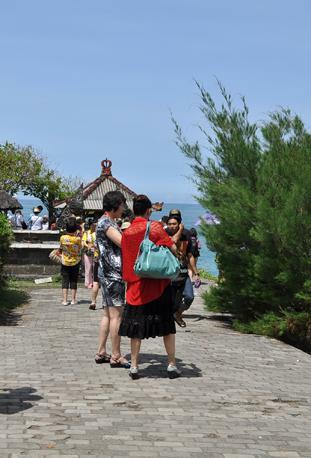 Because of the beauty, many tourists domestic or international come to this resort.